Very tasty, and extremely quick and easy to make. Steam the broccoli until just tender, then quickly cool it in cold water to stop it cooking further or discolouring. 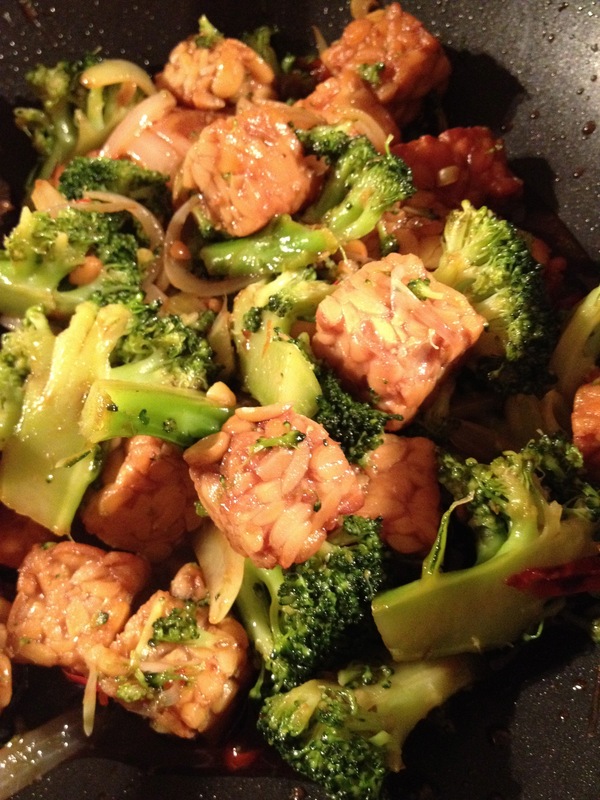 Heat some oil in a wok or frying pan and stir-fry the tempeh until lightly browned. Remove the tempeh from the pan and put to one side. Add a little more oil and stir-fry the garlic and chilli for about a minute until the garlic becomes a light golden colour. Add the onions and stir-fry for a couple more minutes. Add the tempeh and broccoli and stir to mix, then add the soy sauce and cook for a few more minutes. Serve with plain, boiled rice.